God’s prosperity comes in many forms. Most of the time it isn’t silver or gold since that is usually desired for a self serving purpose. Whatever the form, it will bring glory to God and joy beyond measure to your soul that you would never trade for all of the silver and gold in the world. 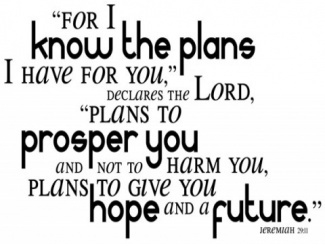 I pray you have a very prosperous 2015 in the name above all names. Jesus! As Christians we often think of things within our lives as sacred or secular. The sacred would include going to church, reading our bibles, praying, or serving God. We then think of the secular as being anything that isn’t directly connected to God such as our jobs and hobbies. Unfortunately, our families more often fall into the category of secular than sacred. Unfortunately, this is unbiblical. The bible teaches that Christians have been bought with the blood of Christ. Since we have been bought with the blood of Christ we belong to God. I Corinthians 6:20 says, “For you have been bought with a price: therefore glorify God in your body.” Since we belong to God, everything we do should bring glory to Him. Since we have been bought with a price, and have been saved from the eternal pits of hell, giving glory to God is a act of love, devotion, and the utmost appreciation. If we were children of the world everything within our lives would be secular. Since we are children of God everything within our lives is sacred; they belong to Him. Our jobs, our hobbies, our families, our everything. Since all of who we are belongs to God, all of what we do should bring Him glory, even the simplest things of life such as eating and drinking. Even the tiniest most insignificant of creatures on earth has to eat and drink. It is a mundane necessity for all creatures. As Christians, this mundane necessity of life should bring glory to God. 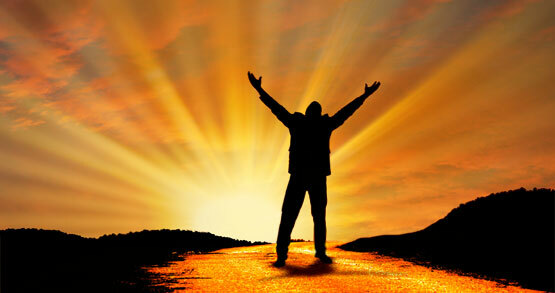 As Christians, all that we do from the mundane to the monumental should bring glory to God. If what we are doing doesn’t bring glory to God, we shouldn’t be participating in it. As this next year is fast approaching make a commitment to God that your life will be and instrument for His glory. You may not be the most popular person and may endure persecution as a result of this radical decision. But remember, the things of this earth are extraordinarily temporary. The one who created you, gives you breath, sustains you, and purchased for you eternity is eternal. He deserves all glory does He not? From the well wishing, one will often get advice to work out their problems, or keep a positive attitude, or keep your head above the water, it will work itself out. This advice is well intended but, unfortunately it is wrong and harmful advice. The Word of God clearly teaches that we are saved by grace through faith, (Ephesians 2:8, 9), and anything done apart from faith is sin, (Romans 14:23). 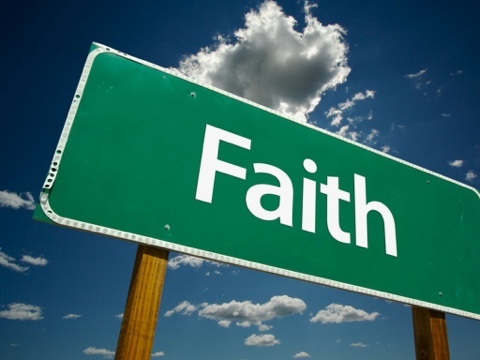 As Christians we walk by faith and not by sight. The scripture stated above says, “It is God who is at work in you,” and His work in you is to, will and to work for His good pleasure. When you woke up this Christmas morning you may have awaken to a treasure trove of gifts under your tree. Or, you may have none. Regardless of the gifts of the world, we have taken a look these past 28 days at many wonderful gifts God freely gives to those who have received the free gift of His salvation. 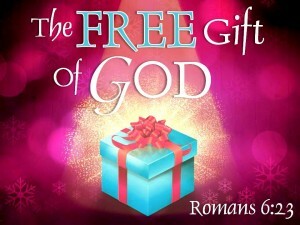 The gifts are only available to those who have been saved from their sins by Jesus. You might now be asking, “How do receive the free gift of salvation?” That is the most important question anyone can ever ask. 1st The bible is clear that we are saved by faith and faith alone. By placing our faith in the person and works of Jesus Christ, His death, burial, and resurrection, we are saved. The Philippian jailer asked Paul, “What must I do to be saved?” Paul said, “Believe in the Lord Jesus, and you will be saved.” (Acts 16:30-31). 2nd We need to repent (turn away) of and ask forgiveness for our sins. You need to know that we are all sinners and need to be forgiven of our sins. Because of our sins we are condemned to Hell and separated from God. The bible states that Jesus purpose in coming to this world is to forgive His people of their sins. The bible also says in I John 1:9, “If we confess our sins, He is faithful and righteous to forgive us our sins and to cleanse us from all unrighteousness.” You can have the upmost confidence that the blood of Jesus is sufficient to wash away your sins. So when you confess, confess with faith. 3rd We need to accept Jesus, by faith, as Lord and Savior. Romans 10:9-10 says, “if you confess with your mouth Jesus as Lord, and believe in your heart that God raised Him from the dead, you will be saved.” To confess is to come into agreement with God. We agree with God that Jesus is Lord and confess Him has Lord of our lives. Jesus died to save us and rose again demonstrating that He is Lord. Pray and ask God to forgive you of your sins. Pray and invite Him into your life to be your Lord and Savior. If you pray, in faith, knowing God will hear you and knowing God will answer you, and you are sincere in your prayer, God will hear you and He will answer you. You will be saved! Jesus said in Luke 15:7, “I tell you that in the same way, there will be more joy in heaven over one sinner who repents than over ninety-nine righteous persons who need no repentance.” If you prayed to receive God’s free gift of salvation please let me know so I can rejoice with you and encourage you. Merry Christmas! Please share. We have spent the past 28 days taking a surface level look at many of the gifts God has richly bestowed upon us. Paul said in Ephesians 1:3, “Blessed be the God and Father of our Lord Jesus Christ, who has blessed us in Christ with every spiritual blessing in the heavenly places.” It would take volumes of books to record all of the wonderful gifts God richly blesses us with. However, none of the gifts is comparable to the gift of Himself. When God sent us the gift of His Son that first Christmas morning He sent us the Son of God, God in the flesh. John records the coming of Christ by simply saying, “The Word (Jesus) became flesh and dwelt among us.” (John 1:14). The word “dwelt” that John used is the exact same word as “tabernacle” This verse could be translated “The word tabernacled among us.” The bible teaches us that the Old Testament Tabernacle is an earthly shadow of what is in heaven. (Hebrews 8:5). In fact, every aspect of the Tabernacle points to the person of Christ. The Tabernacle was God’s dwelling place among His people. God dwelt in the innermost part of the tabernacle. Now through Christ, we have access to the heavenly Tabernacle. The one not made with human hands but crafted by God Himself. Through Christ, we have access to the inner most part of the Tabernacle. There is a single gate to the entrance of the Tabernacle. Jesus is the gate and we must inter through Him. (John 10:9). Once we enter the gate we see the altar. At the altar a blood sacrifice is required. Jesus made that sacrifice for us once and for all. (Hebrews 7:27). Through the blood we can now approach the bronze laver where every crimson stain has been removed and we are washed whiter than snow. Now we can enter into the sanctuary where we see the table of showbread representing our communion with Christ, the golden lamp stand representing our walk in His light, and the alter of incense where we lift up our petitions and praises. Just beyond the sanctuary is the Holy of Holies, the very presence of God. This is a representation of the throne room of God; the very throne that we can draw near with confidence, because of the grace of God and the sacrifice of Christ. 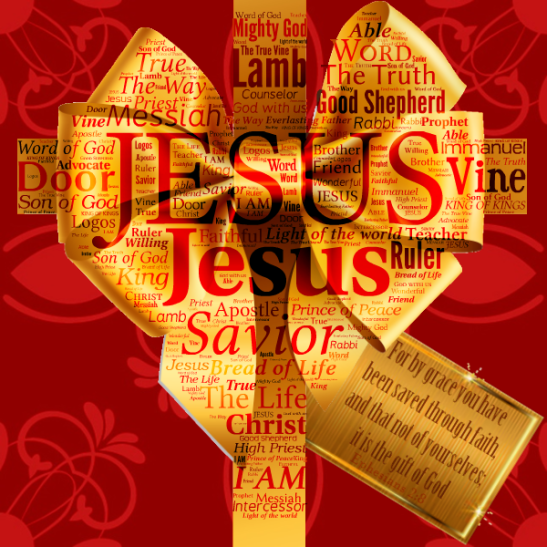 The gift of Christ made God’s presence available to us all. All who would call on His name and be saved. God sent us His Son as an invitation to come into His presence. He knows us and loves us and wants us to know Him and love Him back. For this reason, He gave us Himself as the greatest gift anyone can ever receive. A gift of long ago, a gift of today, and a gift of eternity. Truly, we have received the greatest gift the world has ever seen. After God completed His work of creation He looked at His brand new world with its inhabitants and declared it to be very good. (Genesis 1:31). It doesn’t take long to figure out that the world today isn’t very good. It isn’t even a little good. It is filled with every sort of wickedness. As a result of that wickedness we all suffer. What changed the world from being very good to very bad? The heart of man. The unredeemed man’s heart is full of wickedness. His wicked heart influences every aspect of who he is and what he does. Jesus told us that prior to His return wickedness would increase. Jesus also told us that as a result of the rise of wickedness peoples love would grow cold towards one another. (Matthew 24:12). This is why we live in such a cruel world today. This is also the reason why every Christian should proclaim the gospel that has the power to transform the heart of man. Mankind doesn’t need a change of philosophical views. Mankind needs a change of heart. A new heart will automatically change mans philosophical views. The very good creation God created has been corrupted by sin. Sin is a deadly viruses that destroys every aspect of man. Sin has corrupted all of God’s creation. Because of this, man has been totally ruined by sin. Since we are totally ruined we don’t need patch work. Jesus Himself said that you don’t put a new patch on an old garment. It will shrink and both will be ruined. He also said that you don’t put new wine in an old wineskin. If you do, the wineskin will burst and all will be lost. (Luke 5:36-37). If we are in Christ, we aren’t pieced and patched together, we are brand new creatures. Nor, has God poured His new wine, the Holy Spirit, into an old wineskin. He recreated us. We are new creatures with a new heart, a heart to love, serve, and worship God. The old heart has been done away with, therefore our old thoughts, ideas, ways, and goals have been done away with. 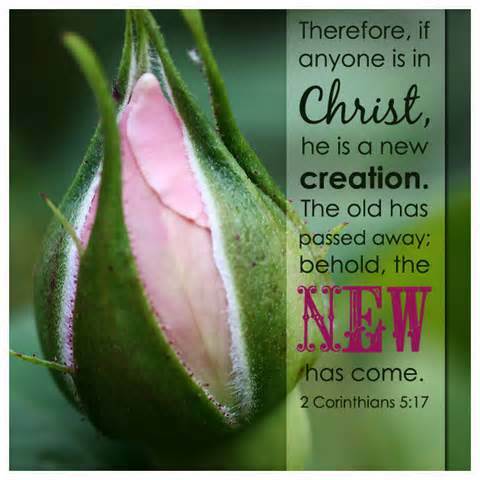 We are new creatures in Christ. If we are in Christ we have already been given a new heart. One day, we will also be given a new body. An incorruptible body that cannot be corrupted by sin. A resurrected body. 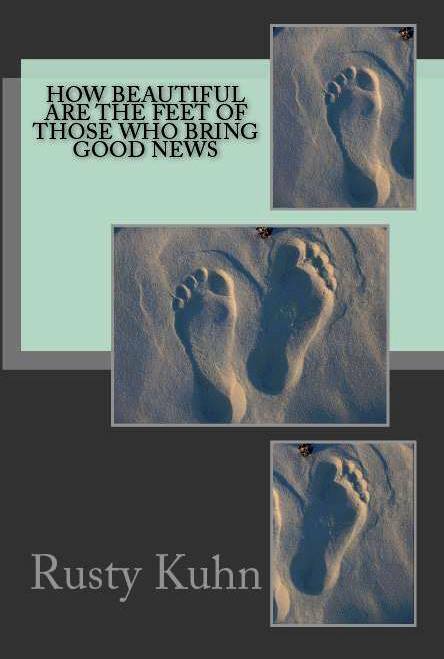 Along with our new resurrected bodies there will also be a new heaven and a new earth. The new heaven will be the eternal home of those who are in Christ and there we shall be with the Lord forever. Truly, we have received the greatest gift the world has ever seen.